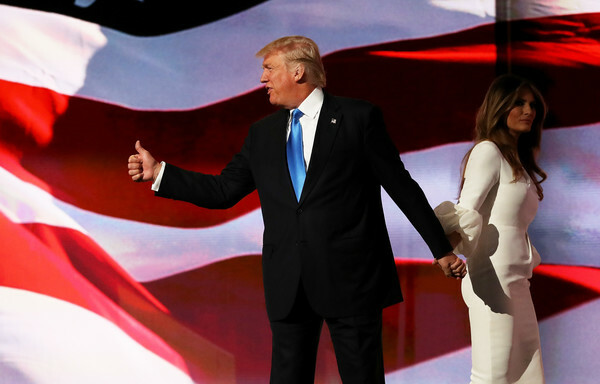 Presumptive Republican presidential nominee Donald Trump gives a thumbs up to the crowd after his wife Melania delivered a speech on the first day of the Republican National Convention on July 18, 2016 at the Quicken Loans Arena in Cleveland, Ohio. An estimated 50,000 people are expected in Cleveland, including hundreds of protesters and members of the media. The four-day Republican National Convention kicks off on July 18.